young life | Apple pie, anyone? where I worked from 2000, 2001, and 2002. And under the cabins are garages where we’d hide our ropes course gear and our extra mattresses and our lawnmowers. And on the workbench near the tree trimmers and work gloves, you’d probably find Mago- one of the kindest men I’ve ever met- reading his Bible and checking off the chapters as he finished on a large piece of poster board hung on the back of the workshop door. Mago was the first in his family to come to America from Mexico. He was a young father, a quiet man, and was never not smiling. Never. About 6 months after I’d been at Camp, Mago radio-ed me to meet him in the circle driveway. He was waiting there for me with a long braided rope he’d made himself (of course), and as I approached, he began to swing it around his head. Calmly. Most natural thing in the world. Then, in a split-second, he reversed the whip’s direction and it cracked the sound barrier. Hear me when I say it was cooler than Indiana Jones. “You want to learn?” he asked me. My right shoulder still hurts thinking about it. But, I eventually got it and became a part of our two-man gang Los Latigos (The Whips). The next day, Mago brought me a wooden handle and some nylon rope and we braided a whip for me to keep. “Mago. This is insane. How do you even know how to do this?” I asked. OF COURSE YOU WERE A SHEPHERD. There are many things I miss about California, but Mago is in the top three. This past weekend, I found the whip under the baseball gloves and grabbed the handle with glee. It’s been 13 years, but I still remember how. 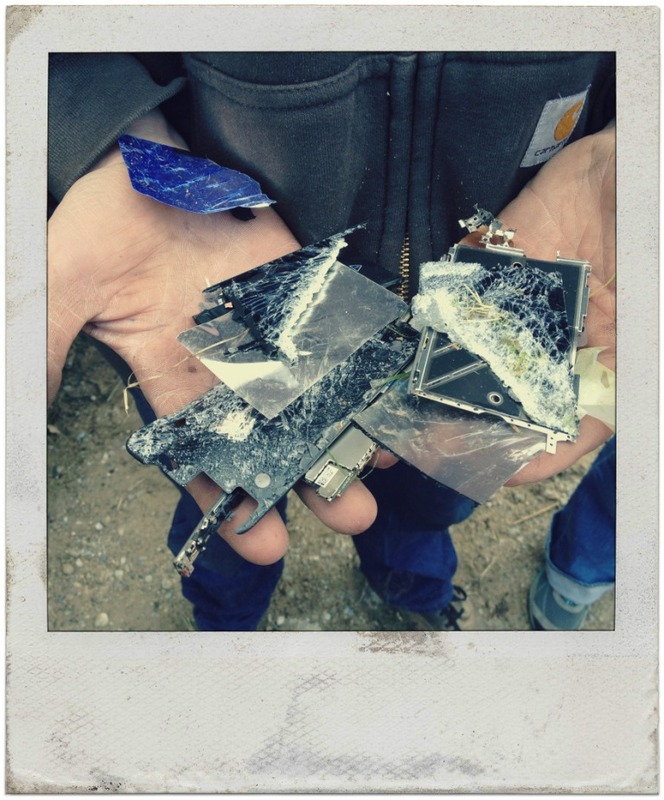 1. iPhones iBreak when they fall out of your pocket and under the blade of a brush hog. 2. Ry’s IEP is this week, and I am nervous. I want it to be easy. I don’t want to cry. I am so tired of crying in front of people I don’t know. It’s hard to convince people you’re a stable person when all you do is cry. 3. Last week the Mulders had 3 flat tires in 4 days on 2 different vehicles. Gus and secret pocket full of nails was responsible for 2 of them. He is alive because he is cute. 4. Saturday night, TexasNorth had 80 Young Life kids and leaders camp out under the stars in the back pasture. They ate on our porch, loved on my kids, and rode the hay wagon like pros. It is in those fine, fine moments that I know we are in the right place at the right time. 6. 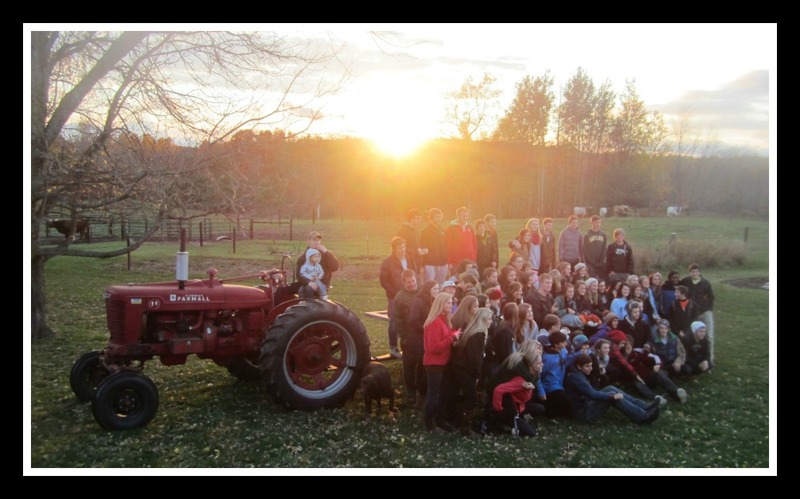 This week we have a hayride on Friday and a black-tie gala on Saturday. 7. I would rather just have the hayride. 8. In the 15 minutes I’ve been writing this post, the toilet has flushed 6 times. Gus and I are the only ones home, and Gus is not potty trained. He is alive because he is cute. 9. Rylie said ‘pizza’ this weekend… and it wasn’t hard. Thankful for strange and wonderful surprises like that after months of nothing. 10. 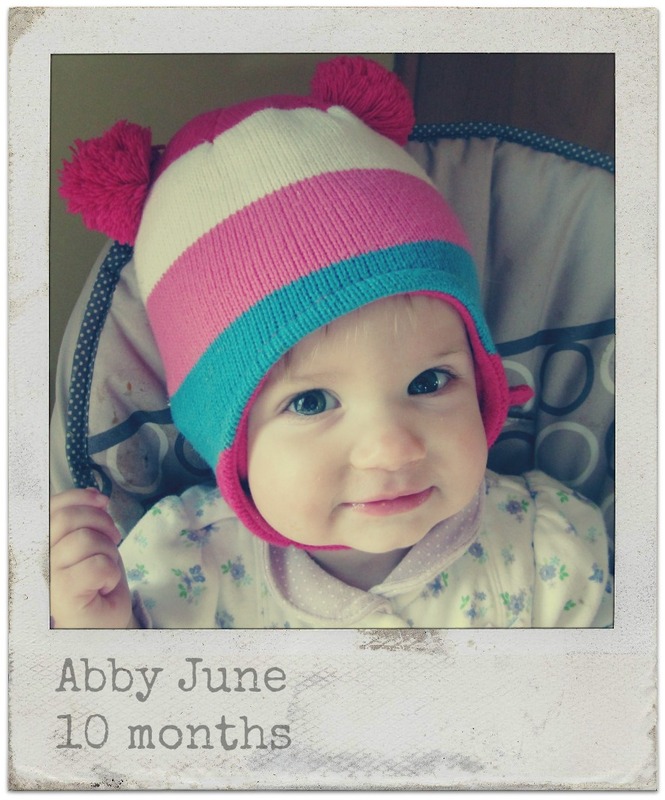 Abby rocks a pompom hat like nobody’s business. Every summer, San Diego’s finest would take over camp for a week and host the Burn Institute‘s Camp Beyond the Scars for burn-injured children. It was the only time I skipped the ropes course dos and don’ts. These guys rappel off burning buildings, negotiate hostage situations, and save lives on a daily basis. Pretty sure I don’t have to double-check their knots or harnesses. I was quick with the coffee, though, I can tell you that. Firefighters drive trucks. Big trucks. The last night of camp, after every kid and leader was tucked into bed, they fired up their diesels and headed down the driveway. My first year, I assumed they had to be back at work in the morning and would skip the last breakfast. I shut out the lights, locked up the office, and went to bed. I have never, to this day, seen anything like it. The next two summers I hosted the group, I was prepared for the late night snow haul. It’s a rare thing to know a miracle is about to happen. I wanted a front row seat. Both times, I woke up giddy with anticipation… mentally begging the kids to roll out of their beds and stumble outside. I cried, of course. Every time. The excitement on their faces… some of them so terribly scarred by fire they could not eat properly… the excitement over nearly-frozen water. For 30 minutes, they were thrilled. Safe. Normal. Lucky. Oh, Friends. I sobbed. I cried the tears of a single girl with no Littles of her own, no real danger in my life, and no troubles. I cried with genuine heart, but little understanding. Not that you have to feel pain to feel empathy. No. But, experience brings a different kind of joy, amen? I find myself with more wounds and uglier scars… but greater faith… because it has been tested and found true. I am less afraid. I am quicker to praise. I am easily and often tired. It is deep and wide. It’s like waking up and finding snow on the ground in the middle of a desert after being marred by fire. we wake up to snow. Find someone and make it snow.